CHICAGO -- Since returning from the disabled list last month, Nicky Delmonico had been searching for rhythm and consistency at the plate. He found both Friday night. Jose Abreu and Delmonico hit three-run homers in a seven-run, seventh-inning outburst, lifting the Chicago White Sox to a 9-3 victory over the Kansas City Royals. Delmonico went 2 for 4 and had a career-high five RBI. Before Friday, he was 8 for 44 (.182) with 17 strikeouts in his last 14 games. "I felt good today," said Delmonico, who spent two months on the DL with a broken hand. "I feel like I'm starting to get my rhythm back and not trying to do too much." Tim Anderson went 3 for 3 with a walk and two stolen bases for Chicago. James Shields (5-14) allowed three runs on six hits in seven innings to snap a five-start winless streak. He last win was on July 13, also against Kansas City. Yoan Moncada, who was inserted back into the leadoff spot on Friday, started the rally in the seventh with a walk. Yolmer Sanchez then followed with a slow grounder to shortstop that Alcides Escobar booted for an error -- snapping the Royals' 16-game errorless streak. "You can't throw belt-high fastballs down the middle to Abreu," Royals manager Ned Yost said. "He can hammer it. Jason's been throwing the ball good for us. Tonight he was just center-cutting a lot of fastballs." "I was just looking for a pitch to jump on early and he grooved me a fastball," Delmonico said. Chicago pulled within 3-2 with a run in the fourth and sixth. White Sox RF Avisail Garcia was pulled after the second for not running out a short pop fly to right field on the last out of the first. Garcia played the field in the second and then was replaced. "I didn't think he gave me an effort on the Texas leaguer," manager Rick Renteria said. Garcia, who's dealing with a nagging knee injury, said he felt a click in his knee and that's why he didn't run hard. Renteria said Castillo will resume his role as the No. 1 catcher if he's physically up to the task. White Sox: Leury Garcia (strained left hamstring) was activated from the 10-day DL before the game. 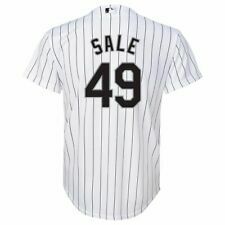 He entered in the third inning, replacing Avisail Garcia. OF Ryan LaMarre was optioned to Triple-A Charlotte following Wednesday's game at Detroit, opening the roster spot. Joey Rickard drove in the winning run in the 11th inning with an RBI double, his fourth hit of the game, and the Baltimore Orioles beat the Tampa Bay Rays 6-5 on Thursday night.